Had a change of oil today. It presented some challenges that were not all expected. Where shall I start? Firstly, the car's bodykit sits too low for the car to climb up the ramp. Then, once the car was up on the stands, for the life of me, I couldn't get the oil drain plug out. FML. This car just didn't want to go without a fight. I finally turned and twisted too much and broke my socket adapter. Well, that kind put a hold on the day. I then took my brother's socket set out and tried loosening the plug, but didn't have success. It was way too tight. Tried some WD40 without success. Finally a friend helped me out. 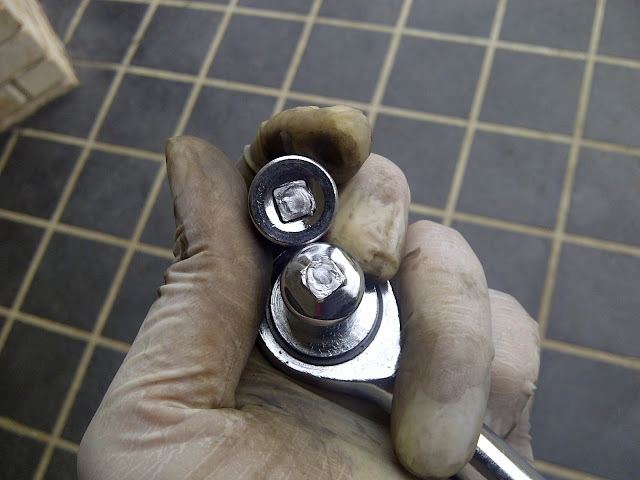 He had the right tools and with a flick of his wrist, unscrewed the bolt. Alright, so I was on my way. 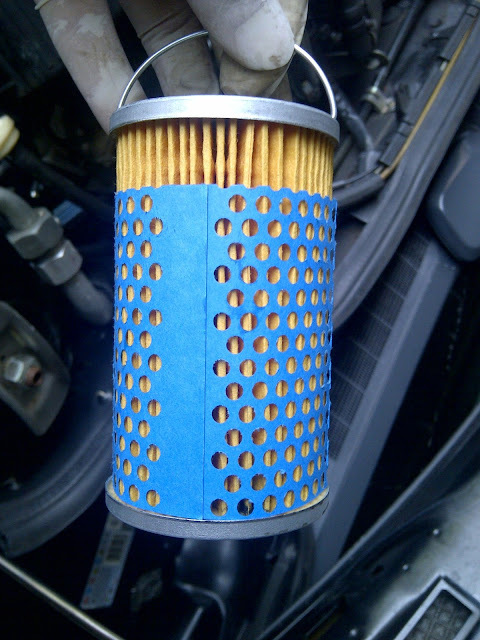 Now before removing the plug and draining the oil, the filter needed to come out first. That's what the manual says, so that's how I'll do it. The filter was removed and it was in bad shape. This is after only 5000kms. 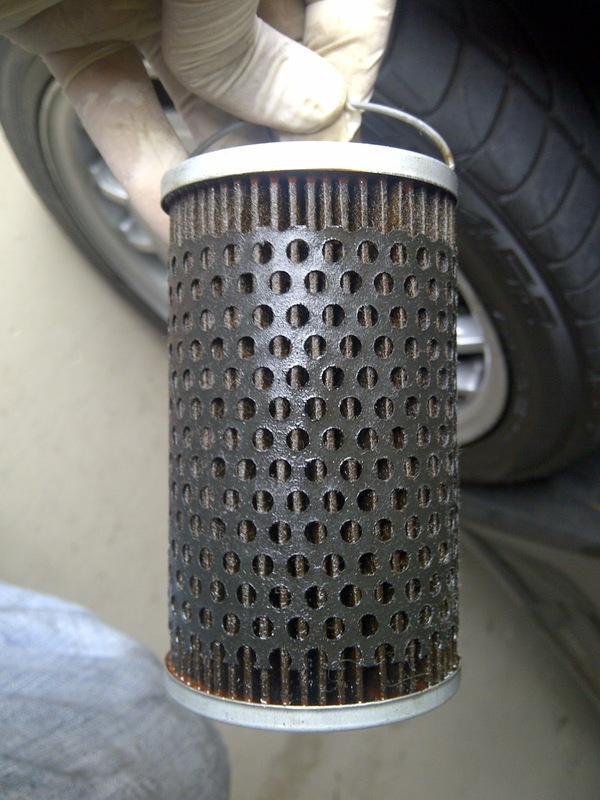 The previous owner said he changed the oil and filter without fail at 5k intervals. 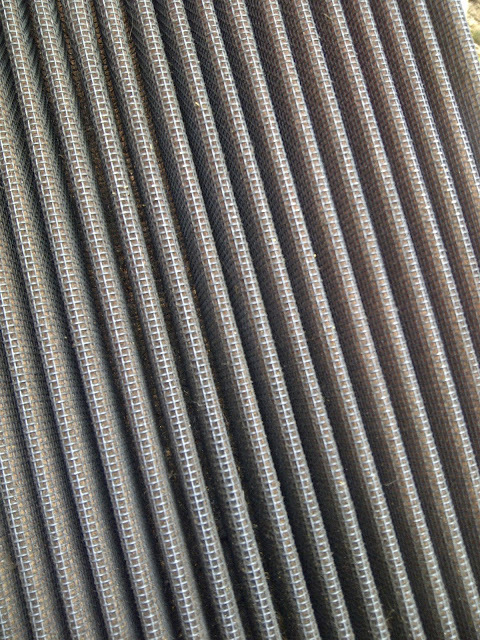 Brand new filter going in. By the way, the 2.5-16 and 2.3-16 use the same filter. This one's a Hengst E135H D14 as detailed here Hengst E135H D14. With the oil drained and filter changed, the plug was reinstalled and new oil filled. I'm using Penrite HPR 10 10W-50. I took it for a 10 minute drive around the neighbourhood and found no leaks or problems. Nice. 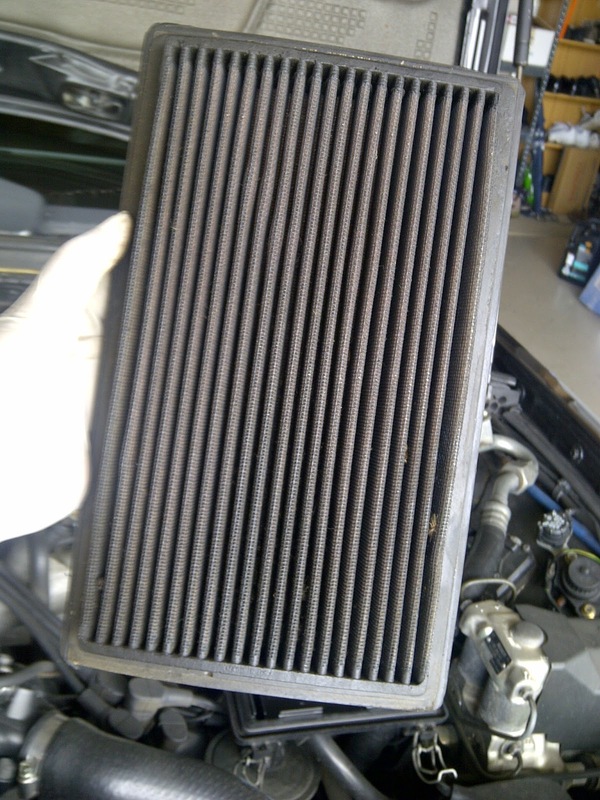 While I had the bonnet open, I decided to check the air filter. Needless to say, I need to order a new one. I have no idea when this was changed. Next on the shopping list is a new socket adapter to replace the one I broke. More on that next week.